While attending the event formerly known as Rolex this year, I had the extreme pleasure of helping my friend Lisa Murray. Lisa is the owner of Repeat the Beat (the jumping Tennessee Walking Horse who is being immortalized as a Breyer model at this year’s Breyerfest) and “Pete” was invited to do a breed demonstration during the event. The now 19 year old horse is in tip top shape for his age, but Lisa does all that she can to keep him happy and sound. Thus, I was introduced to the Accuhorsemat, one of the alternative therapies that Lisa uses on Pete to ensure his comfort. 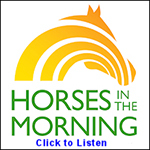 I found myself chatting with Colleen Elliot, co-founder of Acuswede (the North American distributor for the Accuhorsemat) about the innovative new product. Next thing I knew, I had the opportunity to tote home a demo of the Accuhorsemat to try on Joey as Wayne cursed me under his breath for making him drag the blanket bag all around the Horse Park. The Accuhorsemat is a blanket that utilizes acupressure to stimulate relaxation and encourage muscle recovery and dissipate soreness. The blanket itself is light weight and comes in both the traditional fabric and now a new lightweight cooler. I will say, I wish I would have had the opportunity to use the cooler as the state of Missouri unleashed its mighty wrath, but overall the composition of the original fabric is not so heavy that it would unbearable in warmer climates. The thing that sets the Accuhorsemat apart is the acupressure pads that connect via Velcro to the hips and the shoulders. To the touch, the pads are not the most amazing sensation in the world. However, after you relax into the acupressure points the feeling is very relaxing. While at Rolex, Colleen also had the original Acuswede mat for people that we could try out. Laid across a lawn chair that reclined, the prickly pin points did NOT appear to be as comfortable as our Lazy Boy at home, but as I leaned back and felt myself sink into the acupressure mat I began to feel the relief in my constantly sore shoulders. That was when I knew that this product was not a hoax and could most definitely make a difference. Acupressure is an ancient art of pain relief that promotes blood flow which also leads to the releasing of endorphins that encourage relaxation. 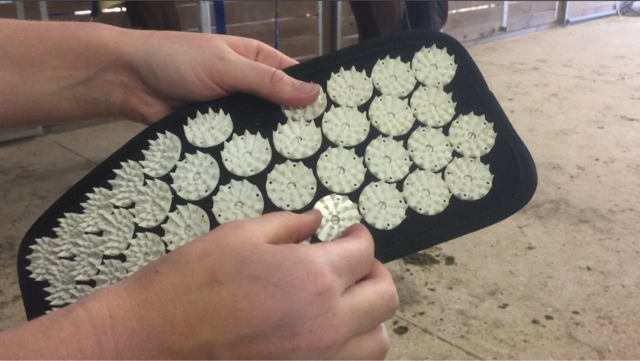 The goal of the Accuhorsemat is to leave every horse feeling its best and ready to perform. I left Rolex with the giant carrying case containing the Accuhorsemat and a lot of first time tips from Colleen. With Joey being a hair on the unpredictable side, I never know how new experiences will affect him and was a bit wary of how he would take to his first time experiencing acupressure. Colleen’s best suggestion by far was on how to place the blanket and acupressure pads on for the first few times so that it did not aggravate or spook Joey. Start by placing the blanket on without the pads. Secure the front closure and pull the rear of the blanket up by the horses neck, then gently place the hip pad on and bring the blanket back to the pad, attaching the two with the velcro backing. For the shoulder pads, simply unhook the front closure and apply the pads one at a time, being sure that when you close the front again that you are not dragging the pads against the skin. We started with 15 minute sessions in the blanket after each ride. At first, Joey was unsure of what to think, but he actually relaxed into the blanket and began to close his eyes and briefly nap while in the ties. That is a COMPLETELY unusual experience for him as he has quite a bit of blood and is always on high alert, observing everything around him – especially while tied. His only real reaction to the Accuhorsemat was when I removed it he did get a bit fidgety as I tried to keep from scraping the pads against his skin. You have to be careful: the acupressure points will not harm your horse but can cause some discomfort if they are not adjusted to the blanket. The next few sessions continued to show improvement as he grew accustomed to the new sensation. I was feeling more engagement in his hind end under saddle as well, something I often struggle with from him. Obvious improvement was being made and there was no denying that it was coming from the Accuhorsemat as I did not introduce any new therapies or supplements to him during this trial. After Joey was comfortable having the blanket on, I began letting him munch on his evening hay in his stall while sporting the Accuhorsemat. The first day we tried this, we had an unusual reaction. Joey was pacing and sweating in his stall, reaching back to grab at the shoulder portion of the blanket. I immediately went in and removed the shoulder pads, which seemed to give him instant relief. After a consultation with Colleen, it became apparent that Joey was telling me that he did NOT need the acupressure in his shoulders that day. We had no similar incidents after that and he continued to sport the shoulder pads and enjoy the therapy while in his stall. I became more alert of the horse that I had after each ride and began deciding if he did or did not need the shoulder pads based on how he went that day. Understanding my horse and his discomfort better helped me to tailor the acupressure therapy to his own needs and keep him happy. Our sessions increased from 15 minutes to 30 minutes and we began incorporating pre-ride sessions in the Accuhorsemat as well as post ride sessions. 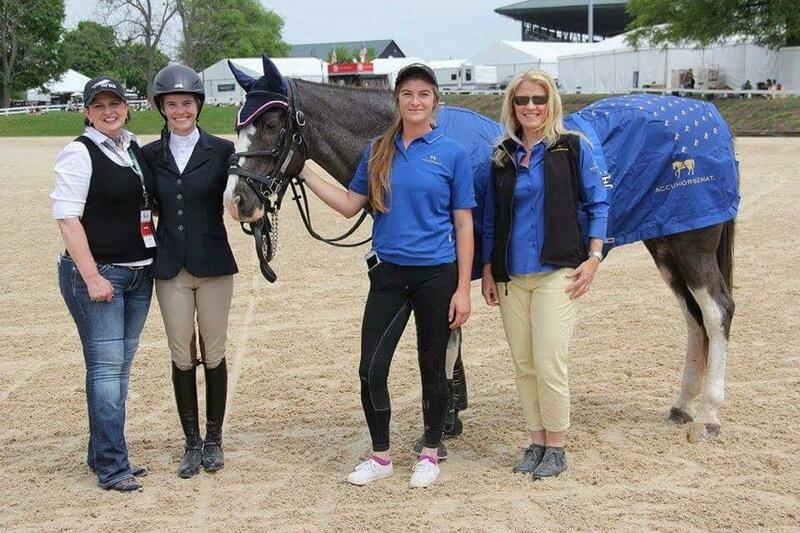 There was an obvious difference in the performance of my horse – there is no denying that. He continued to engage his formerly elusive hind end and his jump became more refined. Towards the middle of our trial with the Accuhorsemat, Joey and I were able to move the fences up to 1.0m and he jumped them with total comfort and ease. In the performance industry, we spend a lot of money on massage therapy, chiropractic care, and acupuncture for our equine partners. I wholeheartedly believe the Accuhorsemat is a wonderful therapy to use alongside and between other alternative care therapies. 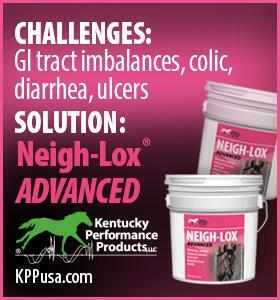 A horse in pain is a horse who cannot perform and this product helps alleviate muscle tension and allow your horse to move forward. I can see many other disciplines benefiting from utilizing this product in their daily care regime: muscle tension is something we all combat! 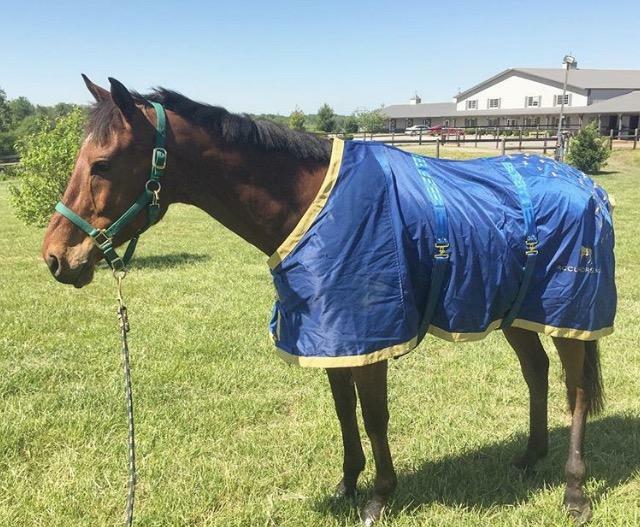 At $495, the initial investment may feel steep but when you add up the total cost of other alternative therapy sessions that your horse has scheduled, this blanket is actually a bargain. It currently comes in two sizes, medium (for horses 14-16 hands) and large (for horses 16+ hands) and I found the fit of the large was perfect for my 17 hand horse. 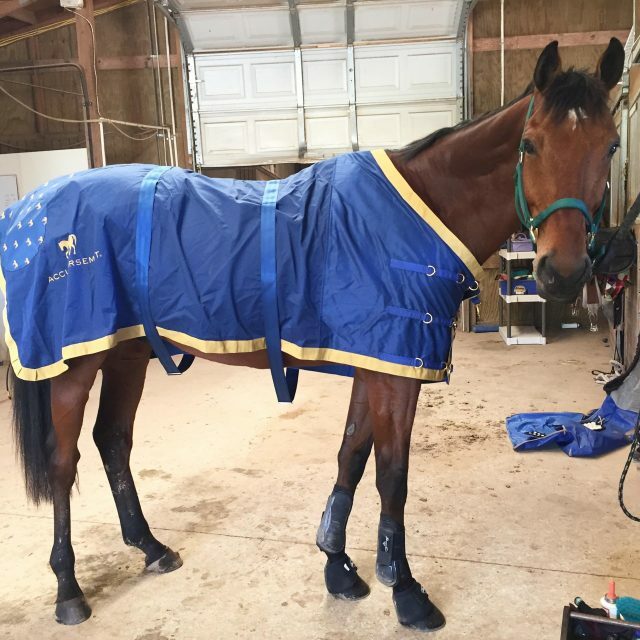 The blanket is extremely adjustable and I was able to try it on several different horses in the barn, all of different sizes, ages, and exercise levels. While none of the other horses used it as frequently as Joey did, there were results from their time with the Accuhorsemat in those horses as well. After spending a little over a month with the Accuhorsemat in our training program, I can without a doubt say it has made a difference in the horse I know and love. He moves better, performs better, and is overall more relaxed. His personality has become more affectionate and he is less grumpy with daily chores such as grooming and tacking up. While the investment may seem large, the results from this product are noticeable and will bring all level of athletes comfort. The Accuhorsemat has won my heart and easily earns a 5 out of 5 stars in my mind. For more information about the Accuhorsemat, please visit the website.